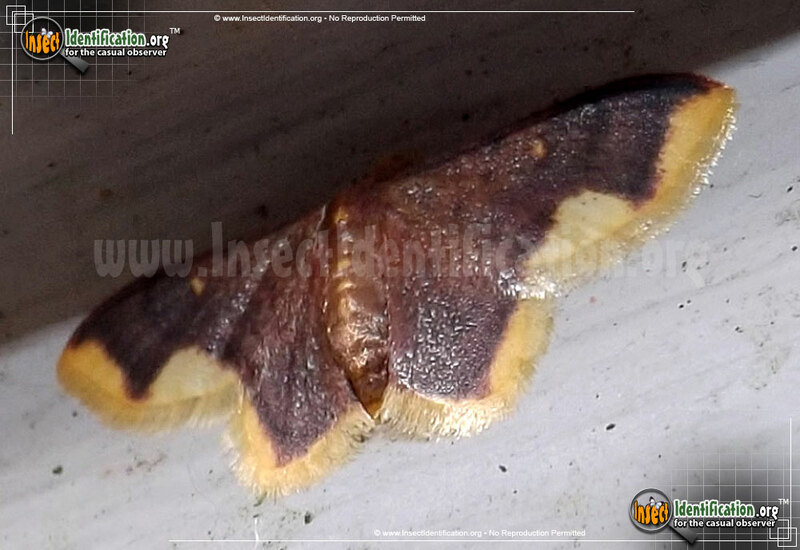 Detailing the physical features, habits, territorial reach and other identifying qualities of the Stained Lophosis Moth. The two-toned Stained Lophosis Moth is truly one of a kind, representing the Lophosis genus all by itself. 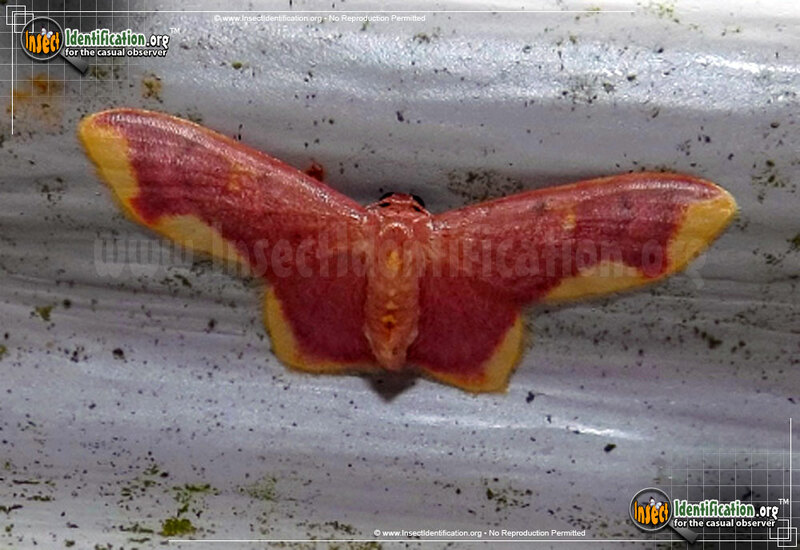 Found in the eastern U.S. and gulf states of Mexico, the Stained Lophosis Moth is a sight to behold. Though it belongs to a large family, it is the only species in its genus in North America. Long wings on the male are almost completely covered in deep purple. Wing tips and borders are yellow. A small, faint yellow distal spot sits on the forewing. The female is more patterned with patches of purple crossing the wings, showing more of the yellow coloring. Her upper abdomen is purple while the lower part is yellow. Pattern differences between the sexes are so pronounced, they might be mistaken for different species, but both are covered in a glassy sheen. Like other larvae from Geometridae, its caterpillars are likely hidden among tree branches, mimicking twigs.